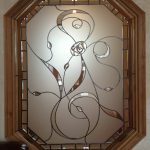 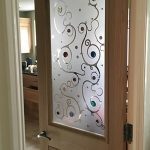 Leadbitter Glass created this stunning traditional etched glass door entryway for a client in late 2010. 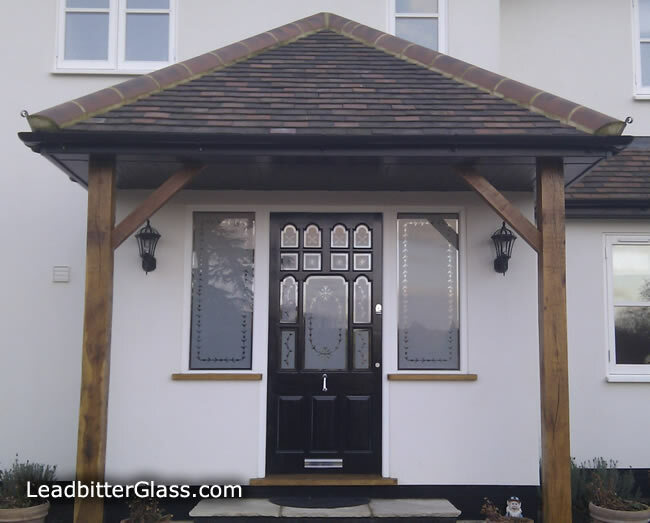 The door was to be the centrepiece of a newly built home in the Hertfordshire town of Ware. 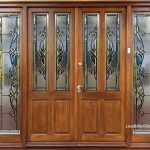 The wooden door was created by a specialist joinery manufacturer and the glass sizes and templates were forwarded by the joiner to our glass studio to ensure a perfect fit. 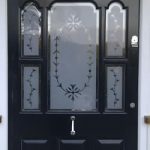 As you can see by the photo, the majority of the glass panels in the door needed to be shaped and the client also requested double glazed sealed units. 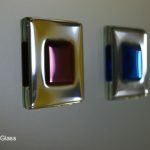 As these shapes were quite small we used ‘Super Spacer’ bar inside of the double glazed cavity of the glass. 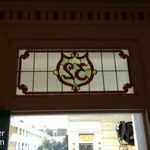 Super Spacer has great energy saving properties and its flexible structure is the ideal material for creating double glazed panels that require bends and curves. 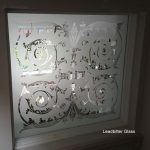 The glass was all toughened glass with the inner leaf of the double glazing being Pilkington K glass. 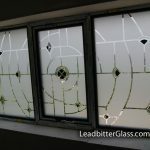 As with many orders placed with the Leadbitter Glass studio, a full design service was given to the client and various options were considered before the client settled with this specific glass design. 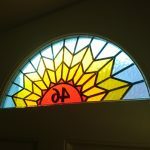 You can view the design service page here. 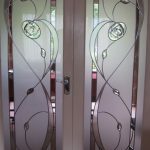 The final design gives a great level of privacy and it provides the traditional feel the clients were looking for, all with the added benefit of excellent insulation properties. 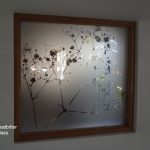 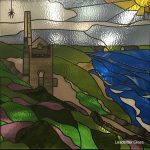 The Leadbitter Glass studio specialises in bespoke glass in many forms – Etched or Sandblasted Glass, Leaded Glass and Bevelled Glass.